The Mall of America in Minnesota used a phony Facebook profile to conduct surveillance on “Black Lives Matter” activists, according to a new report, and then provided that intelligence to local authorities as evidence to use against the protesters. On Wednesday this week, the Interceptreportedthat documents provided by America’s second-largest mall to officials in Bloomington, Minnesota, suggests that MOA’s former intelligence analyst created a fake profile on the social networking site with which he befriended and then monitored activists. An anti-police brutality demonstration waged on mall property by the “Black Lives Matter” activists on December 20 ended with more than two dozen arrests and the subsequent filing of charges against 11 protesters. According to the Intercept, mall officials gave authorities a cache of files soon after the event that contained detailed dossiers on organizers complete with information gathered from their social media accounts, without the activists’ knowledge or consent. 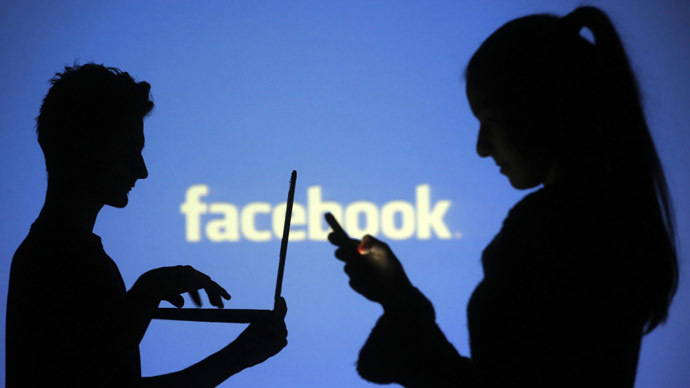 The Intercept obtained the trove of data supplied to city prosecutors and determined that screenshots included within were captured by Facebook user “Nikki Larson.” A metadata analysis of some of those documents pointed the Intercept towards an individual named Sam Root, and soon after the outlet was able to conclude that Larson and Root are one in the same person. Nevertheless, the fake Larson account, created in 2009, boasted the unwilling woman’s likeness until just recently when it was deleted after the Intercept approached the Mall of America ahead of publishing this week’s article. Root, who stopped working for the mall on January 27, told the outlet that he could not comment on the matter “because it’s a case.” Root’s legitimate Facebook account had listed his profession as “Intelligence Analyst at Mall of America,” according to the Intercept, but his profile has since gone dark as well. Lee Fang, the author of the Intercept article, reported that the fake Larson account had 817 friends before being deleted, including many involved in political activism. The dossier profiling another activist, Lena Gardner, contains pictures and a timeline showing where to spot her in protest footage taken by protestors and with surveillance cameras, according to the Intercept. There was info from her social media accounts. According to the outlet, at least 10 activists in all are detailed in the documents. “They are being ruthless in their attempts to quell and stifle free speech and dissent,” Levy-Pounds told the Intercept. On Twitter, she referred to the surveillance as “Mall of America’s Cointelpro,” a reference to the infamous Federal Bureau of Investigation operation that secretly targeted activists during the 1960s and ‘70s. “We don’t like the idea of large corporations spying on people for their political activity,” Jordan Kushner, an attorney for some of the activists being charged by the city of Bloomington, told the Intercept. In the wake of the revelations, the Mall of America issued a statement acknowledging its use of social media surveillance, but downplayed concerns that political activists were actively targeted. "While I did not know the MOA may have been monitoring Facebook, whenever a group organizes an event using Facebook and makes their posts very accessible to the public in order to garner greater public participation in, and support for, their event- that group risks being monitored by other interested individuals, including those who may not approve of the event," Johnson told the Fox affiliate this week. "The use of social media provides both an opportunity and a risk; you need to do a cost or risk/ benefit analysis before making this type of posting." Despite the mall’s claims that entities aren’t targeted based on political viewpoints, open source research reveals that Root has previously made statements suggesting that such groups have indeed been of interest to his security team. “If it’s a political movement, it is very important to know all of the subgroups and players involved and take everything they say very seriously,” Root said in a statement accompanying a security report put together by the mall in 2013. In January, court documents filed against the MOA protesters revealed that plain-clothed Bloomington police officers attended a “Black Lives Matter” organizing event three days before the pre-Christmas protest and submitted a city cell phone number to activists with which to receive text updates ahead of the event. The activists charged over the December 20 event face counts of public nuisance, trespassing and disorderly conduct, among others, and could get upwards of 90 days in jail and a $1,000 fine. 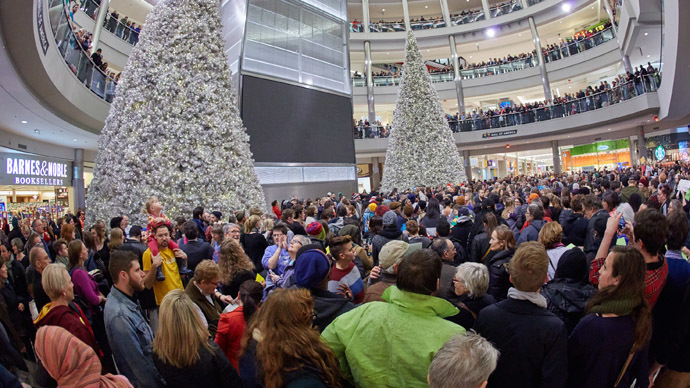 According to KMSP, the mall spent over $8,000 on extra security on the day of the demonstration. Root had previously beenscheduledto present at a risk management conference on Wednesday, the day the Intercept’s article was published, as part of a discussion on “Using Social Media to Identify Emerging Threats” alongside a MOA colleague. Anupdated copyof the event’s agenda suggests he was replaced by the mall’s captain of security for special operations.